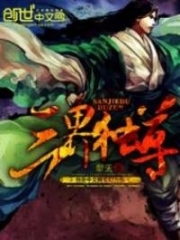 You’re reading novel Chaotic Sword God Chapter 458 - Midnight Assassination online at LightNovelFree.com. Please use the follow button to get notification about the latest chapter next time when you visit LightNovelFree.com. Use F11 button to read novel in full-screen(PC only). Drop by anytime you want to read free – fast – latest novel. It’s great if you could leave a comment, share your opinion about the new chapters, new novel with others on the internet. We’ll do our best to bring you the finest, latest novel everyday. Enjoy! Hearing Ming Dong’s name, Jian Chen was stunned for a moment before a joyous smile overtook his face, and he quickly left the room. Seeing Jian Chen walk out of the palace, the white robed youth standing outside revealed a smile. This was the Ming Dong that Jian Chen hadn’t seen for half a year. Jian Chen looked over Ming Dong—there was a noticeable difference from the Ming Dong of half a year ago to the one right now. His aura had calmed down a bit and he no longer looked as impatient as before. “Let’s talk inside!” Jian Chen laughed as he brought Ming Dong into the palace. This was the special palace allocated to Jian Chen by the king, so there were around fifty Black Armor soldiers outside. The two sat down in two chairs. A maid brought the two some snacks and two cups of tea before leaving after being dismissed. “I was just planning on going to find you, but who would have thought that you were hiding away in the palace?” Jian Chen was quite delighted. Ming Dong and him were like good brothers, now that they had both met once again, they were naturally be happy. “Back when the war had only just finished, I accepted the king’s invitation. His kindness is a hard thing to decline so I stayed within the palace for several days to try out the lifestyle here. This is the very first time I’ve lived in such a way, so I decided to stay for a little longer.” Ming Dong laughed. “Then are you done with such a lifestyle?” Jian Chen laughed. “Just call me Jian Chen, I rather like that name. The name ‘Changyang Xiangtian’ is something only my clan calls me. Outside of that, I am Jian Chen.” Jian Chen spoke without hesitation. Jian Chen and Ming Dong continued to talk through the night. When it came to Ming Dong, Jian Chen did not hide anything. Everything that had happened after the two had split, Jian Chen told him aside from the matter with the tiger cub. It wasn’t because he didn’t trust Ming Dong, but it was because the fewer people that knew about it, the better. Plus, if he did tell Ming Dong, there was a chance Ming Dong would feel a larger amount of pressure. After listening to Jian Chen speak of what happened, Ming Dong let out a slow breath of air. It was when Jian Chen spoke of the battle with the eight Heaven Saint Masters that Ming Dong had nearly leaped out of his skin. It was only when it was late at night that Ming Dong left Jian Chen’s place. As an esteemed guest of the Gesun Kingdom, he had his own room. After Ming Dong left, Jian Chen walked into his own room and sat on the bed to meditate. At this time, the tiger cub that had previously been sleeping on the bed, from absorbing the heavenly resources, finally awoke. Refreshed, the tiger cub stood on all four of its limbs and blinked its bright eyes at Jian Chen. Then, its body leaped onto Jian Chen’s shoulder and used its s.h.a.ggy head to rub Jian Chen’s face as it let out a purr of content. The cub was able to control the size of its own body, so at the moment, its body was about the size of a third of a meter. This was the equivalent to the size of a small cat, making it look rather cute. Taking the cub into his hands, Jian Chen regarded the strength of the cub with a small smile on his face. In just these past few days, the tiger cub had reached the strength of a Cla.s.s 3 Magical Beast. This rate of growth was absolutely terrifying, and if this trend were to continue and he had enough heavenly resources, then it wouldn’t even take another year for the cub to become a Cla.s.s 5 Magical Beast. “It’s no wonder that the Heavenly Tiger G.o.d was a being only seen in the ancient past. 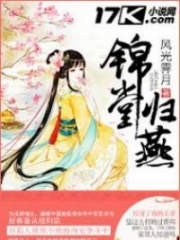 This rate of growth is far too quick.” Jian Chen sighed with admiration. There was an undeniable allure from the heavenly resources to the small cub. Upon seeing the thousand year heavenly resources in Jian Chen’s hands, the tiger cub’s eyes began to sparkle before it quickly wolfed them down. Once it had ate its fill, with a content glint in its eyes, it curled up on Jian Chen’s bed before falling asleep to absorb the resources. Afterward, Jian Chen slowly closed his eyes as he brought out two Cla.s.s 5 Monster Cores. Without any Ruler Armaments, Jian Chen could only rely on the energy within the monster cores to convert to Chaotic Force. Jian Chen knew that the Chaotic Force was extremely strong, and despite it having no use at the current moment, there would be day in the future where he would be able to use it after establis.h.i.+ng a foundation for it. This foundation was his body. If he could strengthen his body, he would be able to withstand the Chaotic Force coursing through it. So right now, he needed enough Chaotic Force to strengthen his body. When he could make use of the Chaotic Force, Jian Chen was confident that his strength would make another large leap in quality. After half the night when the entire palace was a fearful calm, a squadron of Black Armor soldiers continued to patrol. They made their way around the imperial palace, moving in every direction in an attempt to protect the peace. Suddenly, a single figure hidden in the night came flas.h.i.+ng forward headed toward Jian Chen’s palace without a single sound. The darkness of the night protected his body from detection, as if he had became one with the darkness. Even if someone were to get close to him, they would be hard pressed to know that he was there. This mysterious figure easily dodged the outermost Black Armor soldiers protecting the palace and slipped inside. Like the outside, the inner palace was dark without any lighting. The surrounding darkness bore no effect on the figure, allowing him to see everything clearly. Looking around himself, the figure silently entered Jian Chen’s room where he saw Jian Chen sitting on his bed meditating. Inching closer to Jian Chen until he was within ten meters, the figure took out a jade bottle and gently uncorked it, causing a faint gas to float toward Jian Chen. Waiting for the gas to fully a.s.similate into the room, he put away the bottle and replaced it with a black dagger. 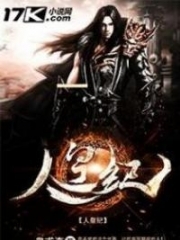 With a black stream of light, the dagger in his hand instantly shot toward Jian Chen’s throat. Suddenly, an azure and violet glow of light flashed in the room before the crisp sound of metal hitting metal could be heard. The forward momentum of the dark figure came to a grinding halt before his legs staggered back several steps. With each step he made, the clear, distinct sounds of footsteps could be heard. “How uncommon, to think that I would come across someone with the dark attributed Saint Force.” A gentle voice could be heard within the dark room. As if the darkness hadn’t affected his vision either, Jian Chen opened his eyes from his meditative state, and stared straight at the figure hiding in the darkness. “You… you’re not affected? How can that be?” The hidden a.s.sailant cried out in shock. The figure knew that his a.s.sa.s.sination attempt had failed and he had even been discovered. This was a battle that he could not win. Without hesitation, the figure flashed away in a streak of dark light toward the outside without a sound. Dark attributed cultivators were nicknamed the kings of the night. The night time was their domain. They could hide their auras perfectly within the darkness as if they were one with the night, making it hard for anyone to detect them. “Did you think running would be that easy?” Jian Chen laughed as he clutched at the air with his hand, causing the previously dark room to be illuminated. In an instant, a fire red sword materialized in the room. The room was lit up from the light of a red flame that startled the guards on the outside. “Whoos.h. !.+” With a wave of his hand, the fire sword quickly shot away, like an arrow, from the room and ultimately toward the dark figure. “Bang!” A fierce explosion could be heard as the light from the fire spread throughout the sky, alerting the entire palace. The a.s.sailant was engulfed by the flames with a scream, revealing his position. His clothes had been set aflame, and although he had managed to escape the fire, he had suffered serious injuries. The previously quiet palace quickly turned lively as many Black Armor soldiers came running toward the source with torches. Many figures flashed across the rooftops as the higher skilled figures charged toward the flames at a rapid pace. Upon seeing his position was revealed, the a.s.sailant had no wish to remain here any longer. He tried to climb into the darkness to escape despite his wounds. At that moment, an azure and violet flash of light could be seen flying at an extremely fast pace, blocking the man from escaping. 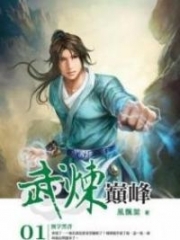 You're reading novel Chaotic Sword God Chapter 458 - Midnight Assassination online at LightNovelFree.com. You can use the follow function to bookmark your favorite novel ( Only for registered users ). If you find any errors ( broken links, can't load photos, etc.. ), Please let us know so we can fix it as soon as possible. And when you start a conversation or debate about a certain topic with other people, please do not offend them just because you don't like their opinions. You're reading Chaotic Sword God Chapter 458 - Midnight Assassination. This novel has been translated by Updating. Author: Xin Xing Xiao Yao already has 12969 views. Current Time is Apr-22-2019 18:07:48 PM.